Doors at 7pm. Music at 8:00pm. Get advance tickets here. Events details from the venue. Follow the event on Facebook for important updates. Subatomic Sound System first worked with Perry in 2007 doing a series of dubstep remixes for Dubblestandart. Subatomic also produced music involving David Lynch, Anthony B, Elephant Man, Ari Up of The Slits, and more. 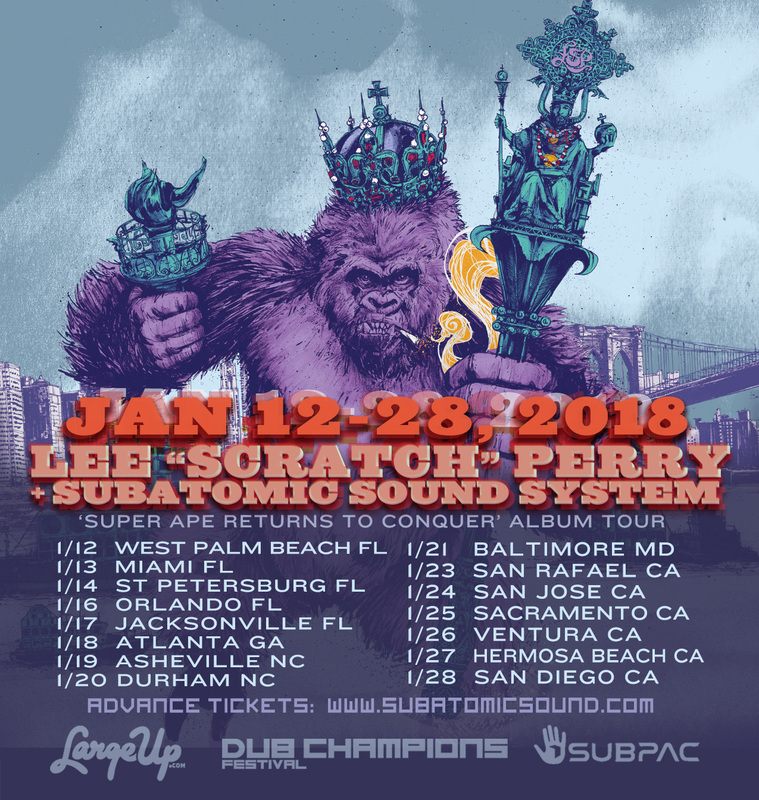 At the forefront of dub music’s renaissance, Subatomic founded the US & Europe Dub Champions Festival, toured worldwide with Perry, performing at major festivals including Coachella, Red Bull Music Academy, Ableton Loop Berlin, Central Park SummerStage, Ozora, Infrasound and more.